The bad experience during rush hour traffic, you various meetings and schedules, trying to get the kids to school on time, paying the bills, and lots more. All these can pile up loads of stress on your entire body system. Sometimes you just wish you can live a stress-free life..you are not alone in this. It might be cool to stay isolated and move to a tropical island to ease yourself from some burdens of life. But the truth is that, stress is part of every individuals daily life. As we get going, let me first of all ask a question. Is stress really that bad? In few occasions, some stress can be good. For example, in some situations, it serves as a motivation to help you get things done. But generally, too much of stress can actually be detrimental to your health. First of all, I will like you to know that the human body reacts to stress with physical, mental and emotional responses. But the physical effects becomes obvious in them all. 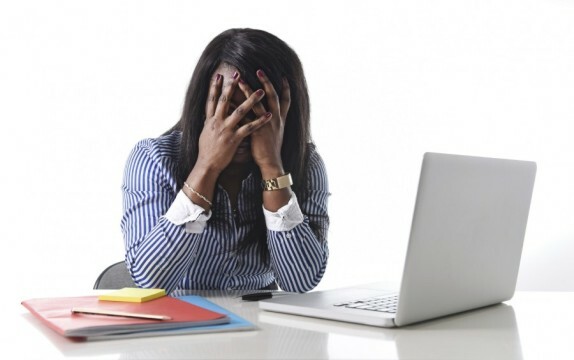 Whenever you experience headaches, elevated blood pressure, an upset stomach, chest pain and sleeplessness, there are chances that you are already stressed-out. Stress can also lead to an indirect harmful effect on the human body. For instance, when you use tobacco, alcohol, or drugs to try to gain relief from stress, you can eventually cause more harm to your overall health. Since stress is part of life, How then can you avoid stressful situations? This can be a question popping up from your brain already. It is a nice one. For example you cannot just tell your boss at work that will not be attending a meeting because it stresses you out. But there are certain things you can do that will assist you to avoid putting yourself into stressful situations. Or you can simply minimize the stress that comes your way by learning how to control the way you respond to them. After you might have discovered the causes of stress in your life, it is wise to start taking actions against them. Below are 3 easy strategies you can adopt to manage any stress that comes your way. After you might have tracked down what easily causes your stress, endeavour to make some changes in your life that will help you avoid stressful situations. A good time management practice is one of the best ways to arrange your daily schedule and find time for each and every one of them. It helps you to deal with things that are more important or of high priority while relenting on other issues that can wait. Maintaining a good time management practice makes your life easier, more meaningful, and altogether less stressful. You will be amazed to find out how much time you actually have when you plan your day carefully and manage your time better. It is quite obvious that every single choice or decision you make in life actually affect your stress levels. Your lifestyle may not have the capacity of causing stress on its own, but it can prevent your body from recovering from it. This condition is not always as easy as it sounds. You should first of all study how you spend your time daily, and figure out things that you do not need to do at all. Finding a balance could be extremely difficult especially during the holidays. Many people determine their purpose in life through connections with family or friends, jobs, their spirituality, or volunteer work. It can also be in the form of a particular sport or a hobby. Getting a good sleep on a daily basis, have extreme health benefits to humans. When you sleep, your body recovers from stress you experienced in that. If you discover that worries deprives you from having a good sleep, try to detect the cause and let it go. Overall, adopting a healthy lifestyle can be a good stress breaker. Eat a healthy diet, limit your alcohol intake, and quit smoking entirely. Even moderate exercises, such as walking a distance daily can actually reduce stress. Staying healthy is the best way of dealing with stress.